Raised in Jamaica Plain, Francis P. Salemme spent his early years as a loyal Mafia soldier. He ascended to prominence when he bombed John Fitzgerald, a lawyer representing a mob snitch, in 1968. Fitzgerald survived, but lost part of his leg. Aftering spending several years on the lam, Salemme was arrested in 1973 and sent to prison for 15 years. Soon after his release, Salemme made a grab for power, looking to supplant former Mafia boss Jerry Angiulo, who had been imprisoned on federal racketeering charges in 1986. Salemme forged ties to Bulger and the mostly Irish Winter Hill Gang and was especially close to Stephen Flemmi. However, he was considered a less polished boss than his predecessors and was beset by open challenges to his leadership and murders of close associates. In 1989, he was shot and wounded outside a Saugus pancake house in an attack by four masked gunmen. 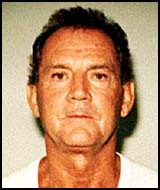 Salemme was included in the 1995 federal racketeering indictment along with Bulger and Flemmi. He pleaded guilty in 1999 after prosecutors agreed to drop murder charges that could have sent him to prison for life. He was sentenced to 11 years in prison. Angry with Bulger and Flemmi after discovering that they snitched on him to FBI agents, Salemme agreed in early 2001 to testify against the pair. This profile was written by the staff of Boston.com based on material from The Boston Globe archives. A look at Boston's famous brothers, William and Whitey. How investigators brought down the elusive criminal. The relationship between Bulger and Boston's law men. The fugitive mobster's relentless travels across the country.